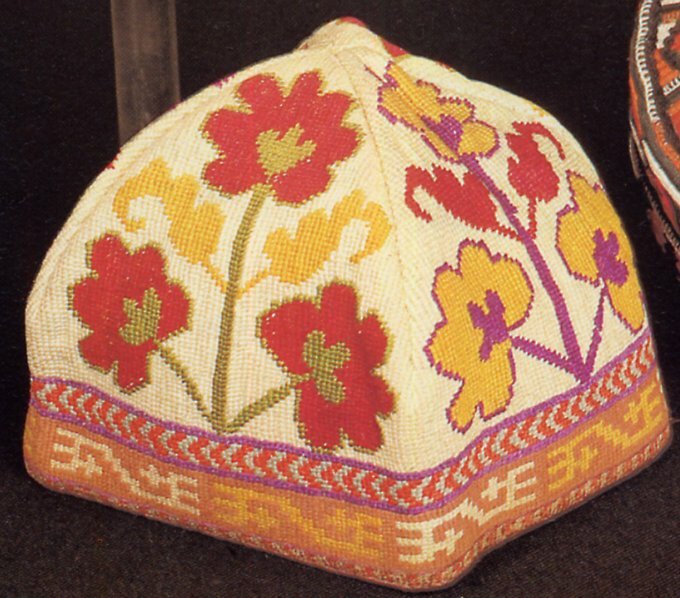 Cross stitch is very popular worldwide, but in central Asia, it is not very common, cursive embroidery styles are much more popular. But it does exist, and forms a distinctive style. It is most closely associated with one Tribe of Uzbeks who are still nomadic, the Lakai. The various peoples of Central Asia are closely linked with each other, and there was and is much trade between the various nationalities, and mutual cultural influence as well. Today i will present images of various items from different sources. I hope that some of you will find these designs interesting enough to use them. In this region, cross stitch is always worked very densely, covering the entire ground fabric. The color scheme is warm, the images are often large and blocky. It often serves to strengthen fabric that is to be used for purposes that need reinforcement. I will start with images from Uzbek sources. Most are geometric designs, like this wall bag. Many of these images were greatly enlarged, but i believe that they can still be graphed by those who like the designs. 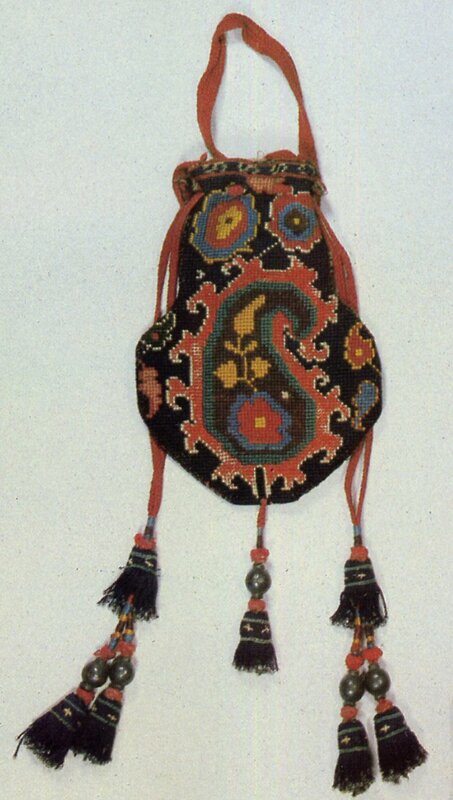 Being nomads, the Lakai have need of many sorts of bags and cases in which to carry things. Here is a spoon bag. As you can see, this has cursive floral designs, which are also found in cross stitch, but less commonly. They are also found in items of personal clothing and accessories. here is a man's cap. 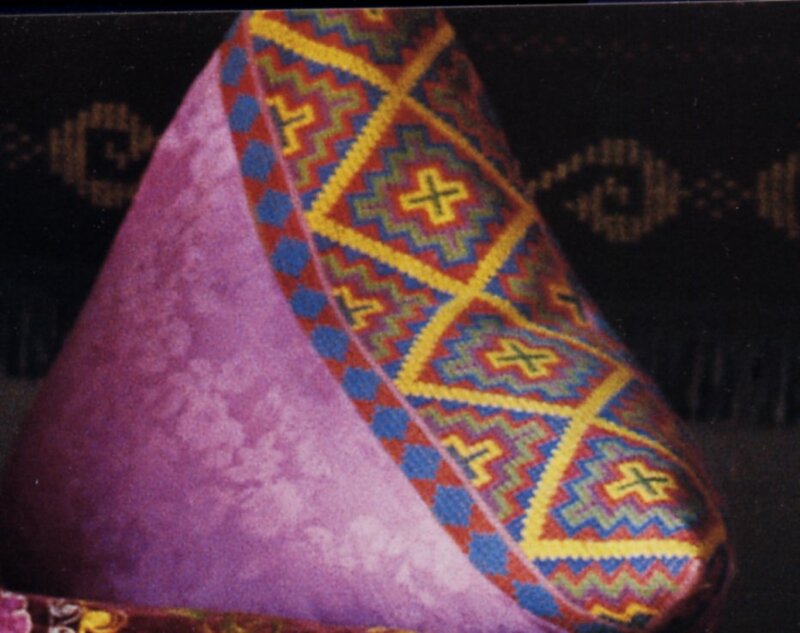 Being muslim, Uzbeks and the other central Asian men wear these caps, which have great variety in shape color, and ornament. Here is a purse, meant to be worn suspended from a belt, as the traditional clothing had no pockets. 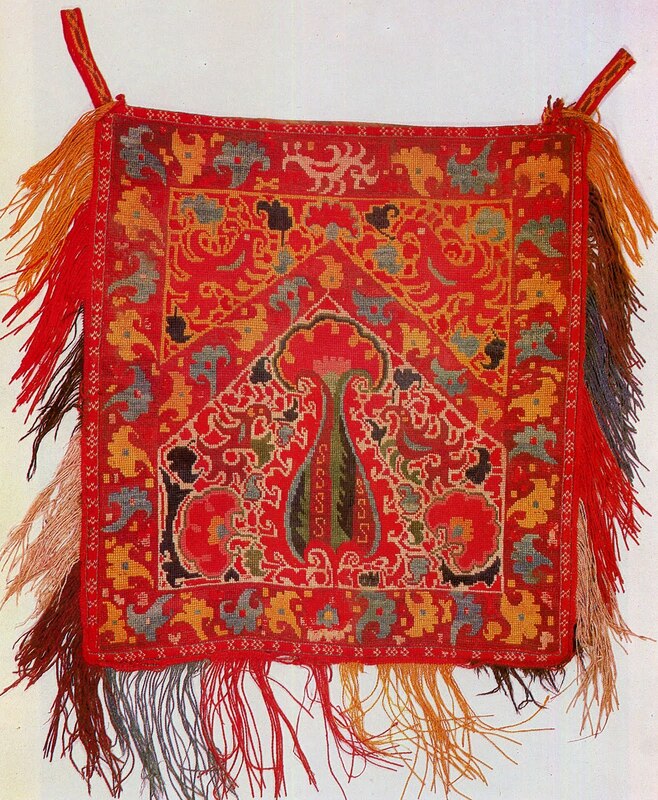 This has the famous 'boteh' motif, which is derived from Kashmir. Here is a bag designed to carry toiletry articles, and is attached to a loop meant to hang from a belt, which is also embroidered. Here is a cuff from a man's chalat, or robe. This is very unusual. 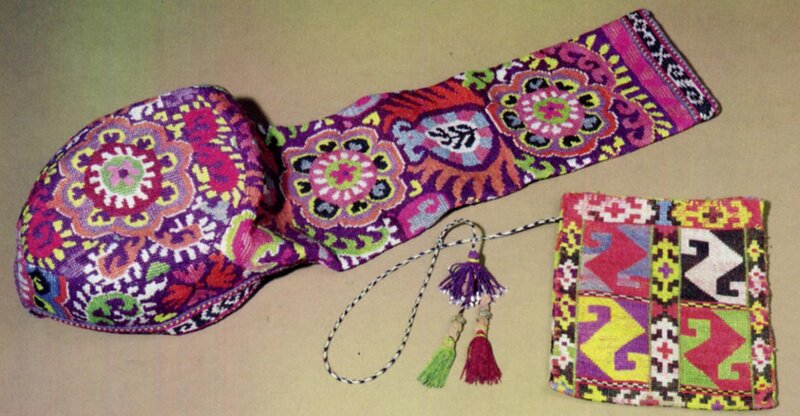 Here is a pair of cuffs from aTurkmen woman's salwar, or baggy pants. Here is a cloth for covering bread, among other uses. and here is a closer look at the design. Here are a couple of Pillows found in a Kirghiz Yurt. Here is a woman's cap and another personal bag. And just one more image. This is a detail of a Tadjik Bridal veil. 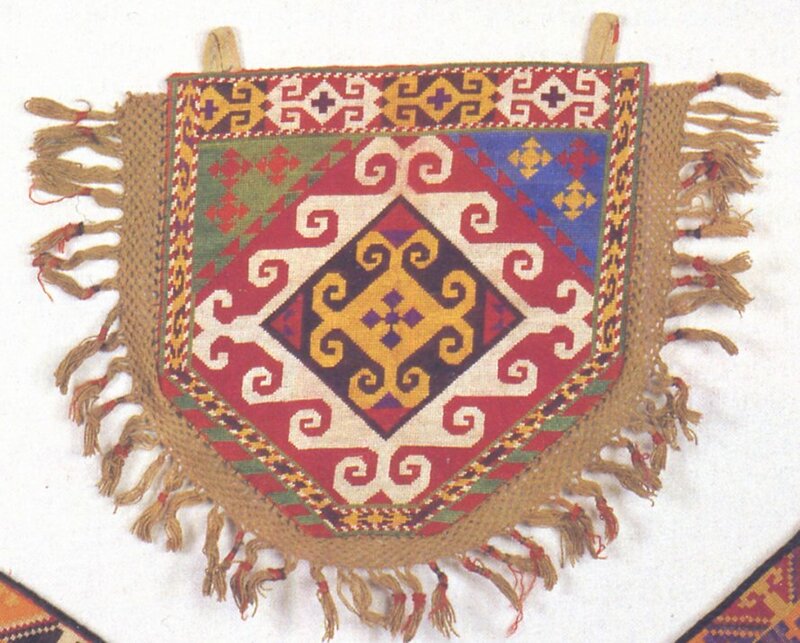 It was embroidered in silk, and not in cross stitch, but it is a design that would be very easy to do in cross stitch, and was possibly copied from a cross stitch original. 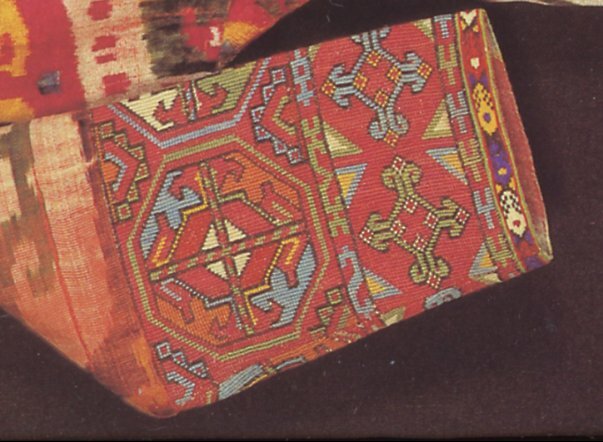 I was only able to find a couple of images in any one book, so this is a minority ornament in central Asia, and yet it has its own definite style. 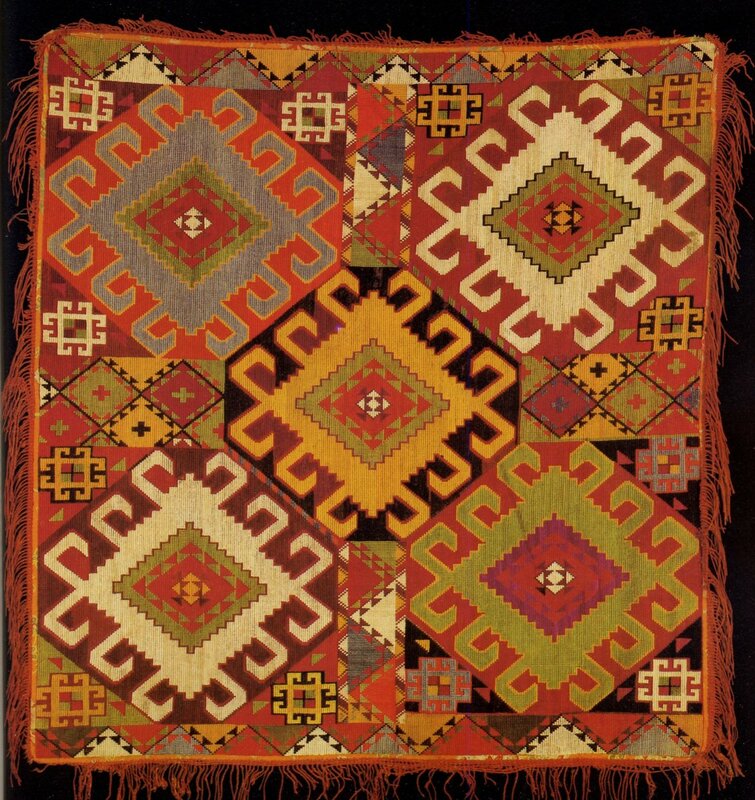 I hope that you enjoyed this presentation of a textile tradition. I also hope that you will be inspired to go and make something like this. Hello Roman K. An online friend sent me the link to your fabulous blog. I am a backstrap weaver and I study the weaving of South America and have recently extended my adventure to include Central America and parts of SE Asia and the Asian sub continent. 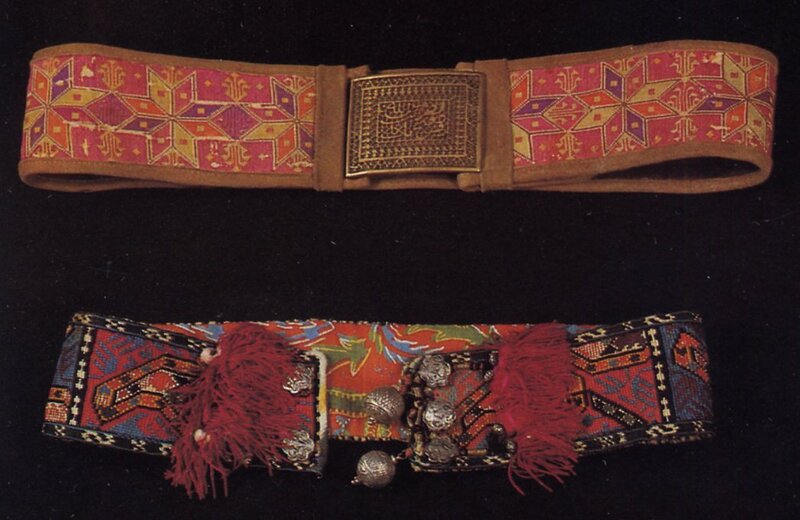 One thing that came my way recently and which completely took me by surprise was a collection of belts worn by the Russian Old Believers who have settled in Oregon USA. 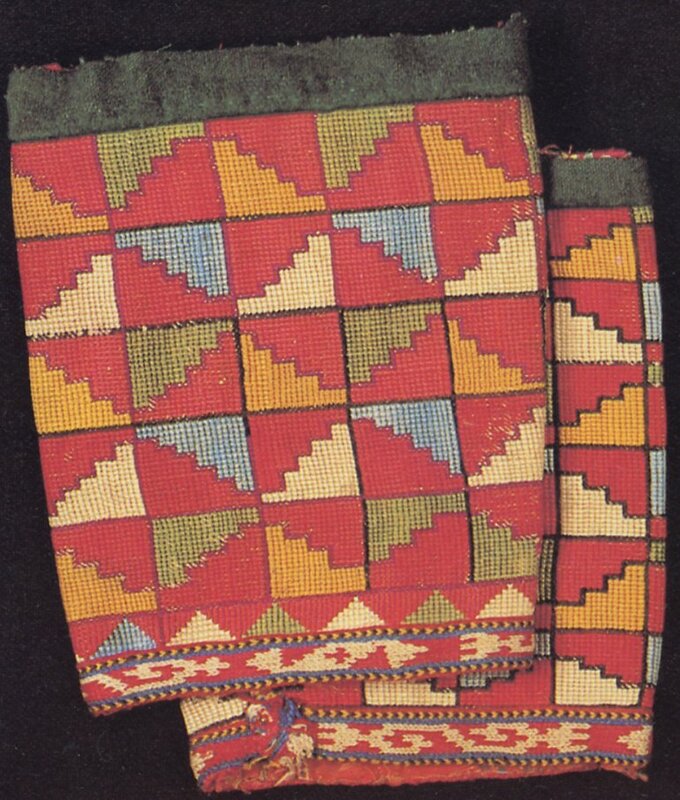 There belts are woven using many techniques but there is one particular technique which intrigues me as it is a technique commonly known as pebble weave and is used in Peru and Bolivia where I live. 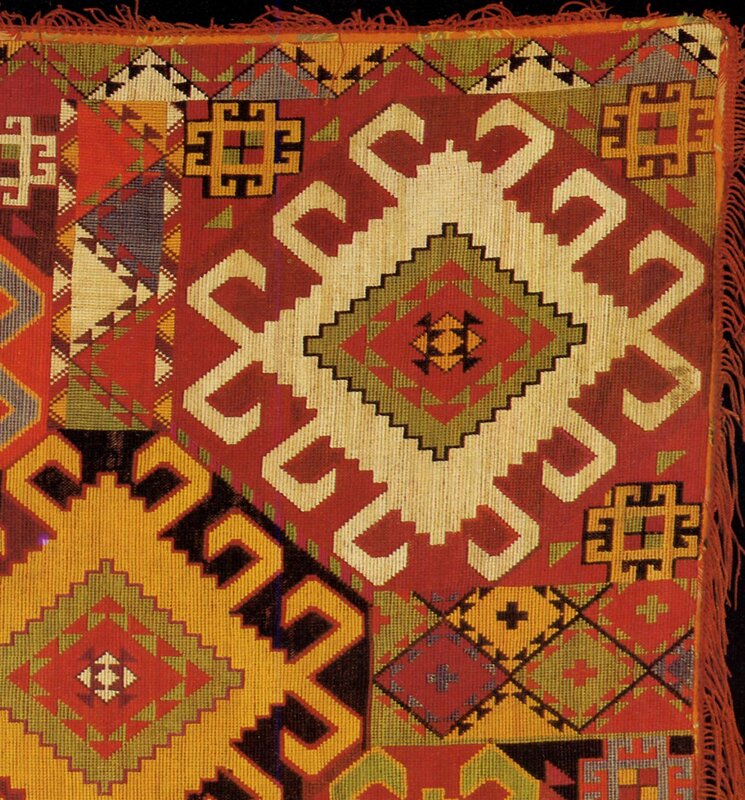 I would love to know the origin of this technique in Russia and where it is still being practiced and if it is done using a backstrap loom. Note that many of the belts are woven using a supplementary warp technique that is used extensively in northern European countries. This is not the technique that I am talking about. How can I contact you to send you some photos? Hello, I just had a friend point out to me that i had failed to include an email adress in my posts. I have since remedied this, but i have not put it into all of my posts as of yet. I will take a look at them and see if i have any material in my library.